Rites of Spring: You don’t have to dance a pagan ritual or even listen to Shostakovich to participate in Rites of Spring! 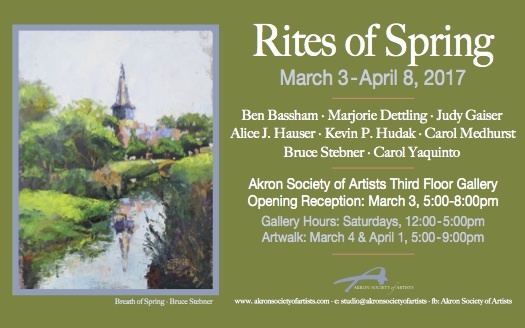 ASA’s spring member show shares art which celebrates any aspect of the season we most wait for in Ohio. Gallery A is located on the third floor of Summit Artspace just opposite the elevator.